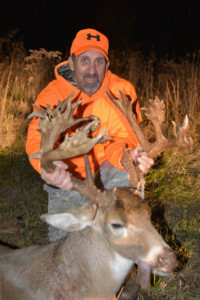 A relatively new deer hunter came up big in southern Illinois during the first weekend of the firearms deer season. 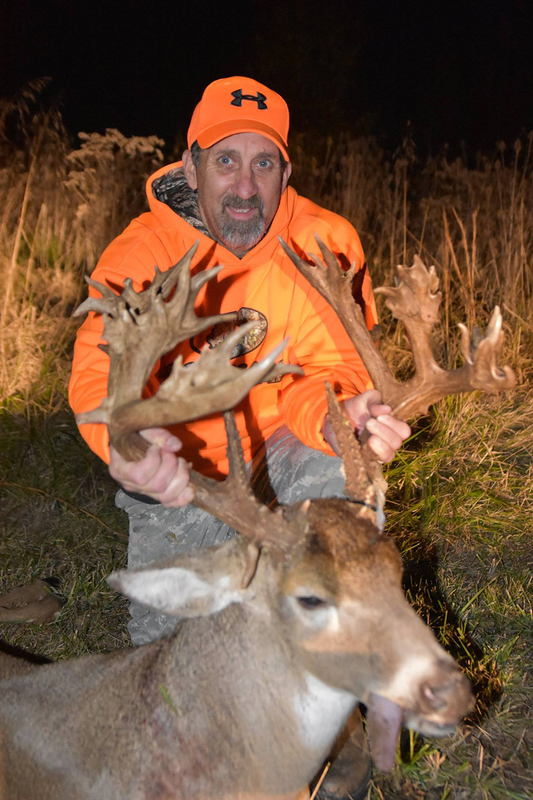 The DNR has confirmed that Keith Szablewski, of Johnston City, harvested a buck with a non-typical rack of 51 points, of which at least 30 are scorable. Illinois Conservation Police Officer Justin Somers inspected the deer and confirmed the harvest. Szablewski said he has been deer hunting for about four years. 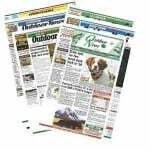 Read more about the deer – nicknamed “SkiBuck 51” – in the Dec. 14 issue of Illinois Outdoor News. Left: Keith Szablewski, of Johnston City, with the 51-point nontypical buck he harvested recently in southern Illinois.